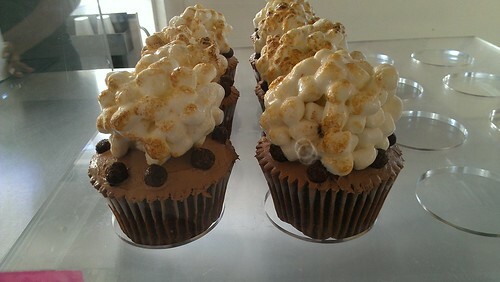 You know me: I love a good cupcake. 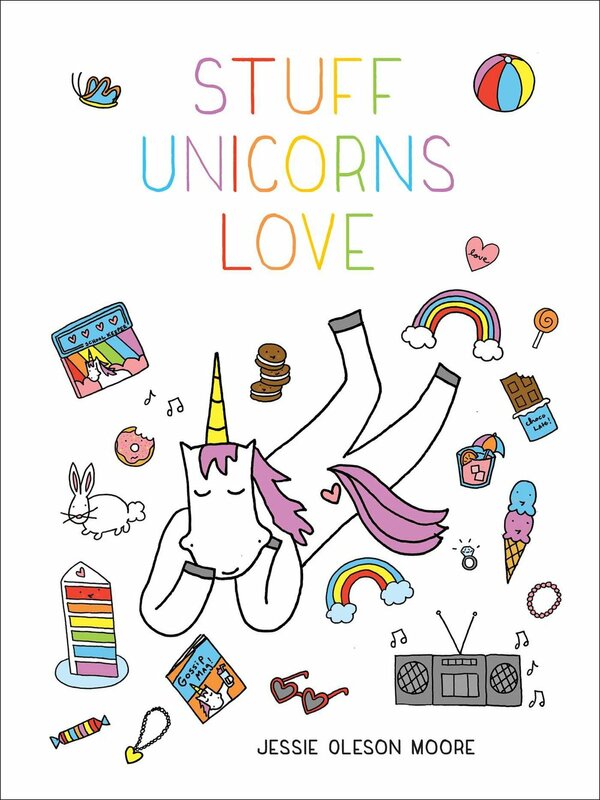 But you know what I also love? 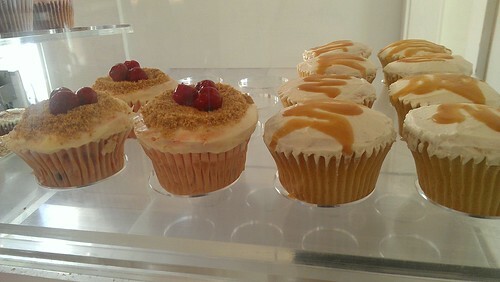 A good cupcake shop that can also kindly suggest other bakeries in the area. I think it's a very good way to be! That's just what happened while visiting Pinkitzel in Oklahoma City, where they said that nearby, Sara Sara Cupcakes did some fine work. So over I went. I took a couple minutes to browse a very cute store next door, Shop Good before entering the cupcake den. It's an interesting configuration - the cupcake shop is actually in a house. It makes you feel like you're going into someone's cupcake house! 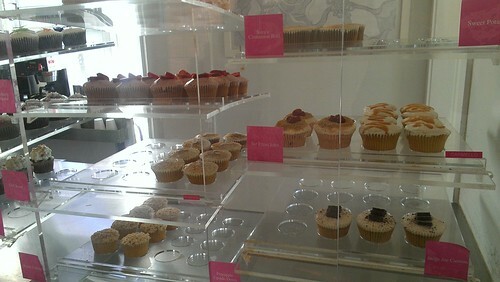 The cupcake counter had a nice array of cakes in a variety of flavors. You can check out their full menu here, but here's some of what I saw. 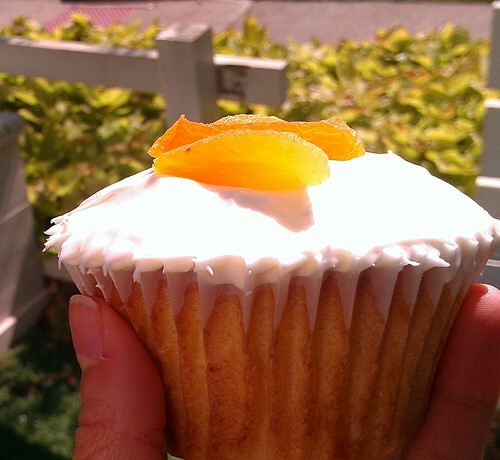 After much debate, I chose the Apricot Ricotta Cupcake, which had ricotta in the cake batter, and cream cheese frosting. NOM! 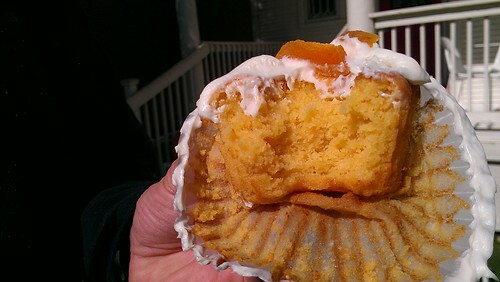 This was a very large, and very tasty cupcake. I will tell the truth, I didn't get a *ton* of ricotta flavor, the cream cheese frosting kind of masked it--but that is a comment, not a complaint, because cream cheese frosting is one of my favorite things, and I think it should be a food group. The cake was tender and moist and assertively dense, which suited me just fine. 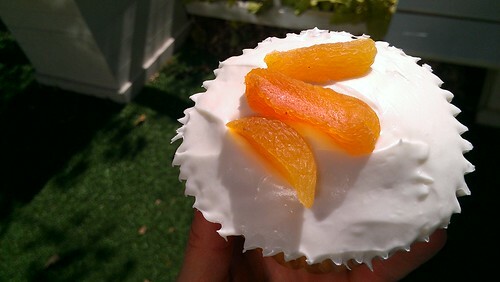 The apricot bits on the top were a very nice way to round out the tanginess of the cream cheese. 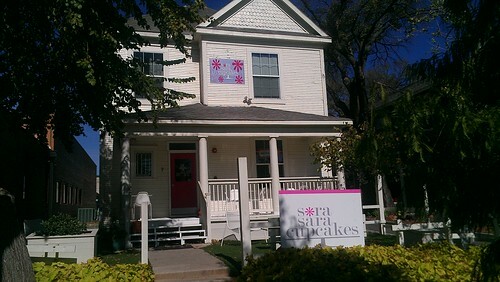 A very nice cupcake stop indeed--I'll happily visit again next time I'm in OKC! 7 NW 9th Street, Oklahoma City; online here.